OmniAire 2000C HEPA Negative Air Machine by Omnitec Design Inc. 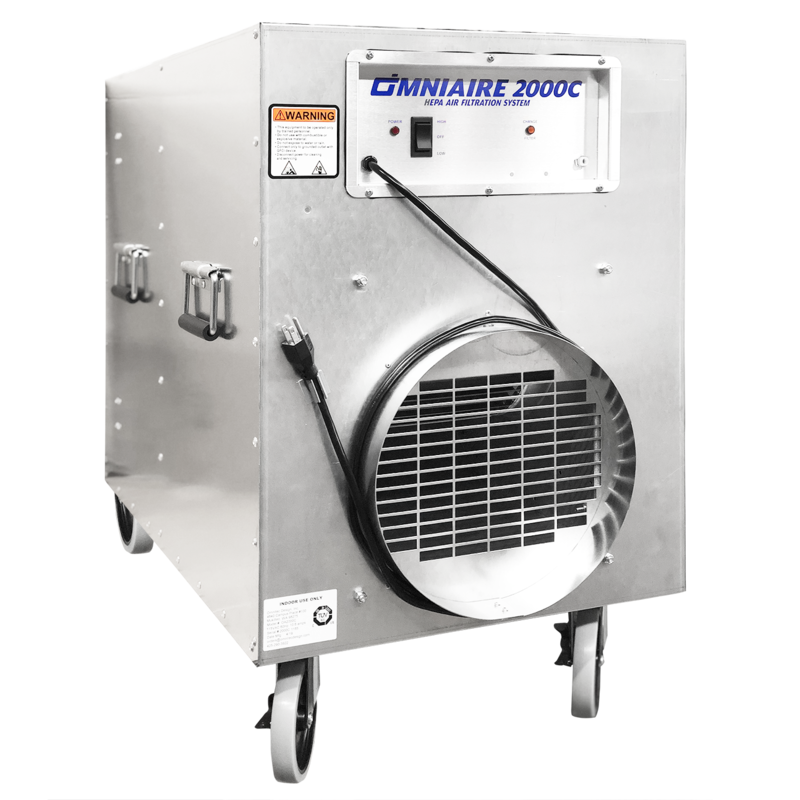 The OmniAire 2000C is our construction grade negative air machine with high airflow, reliable service and many accessories. This machine can be used to create positive or negative air pressure containment areas for mold, asbestos, and lead abatement projects, silica containment on construction sites, restoration projects after water/fire damage, heath care facilities, and many other applications. With numerous optional pre and final filters, OmniAire 2000C machines are suitable for a large array of jobs from light construction, to tasks that require true 99.99% HEPA efficiency. 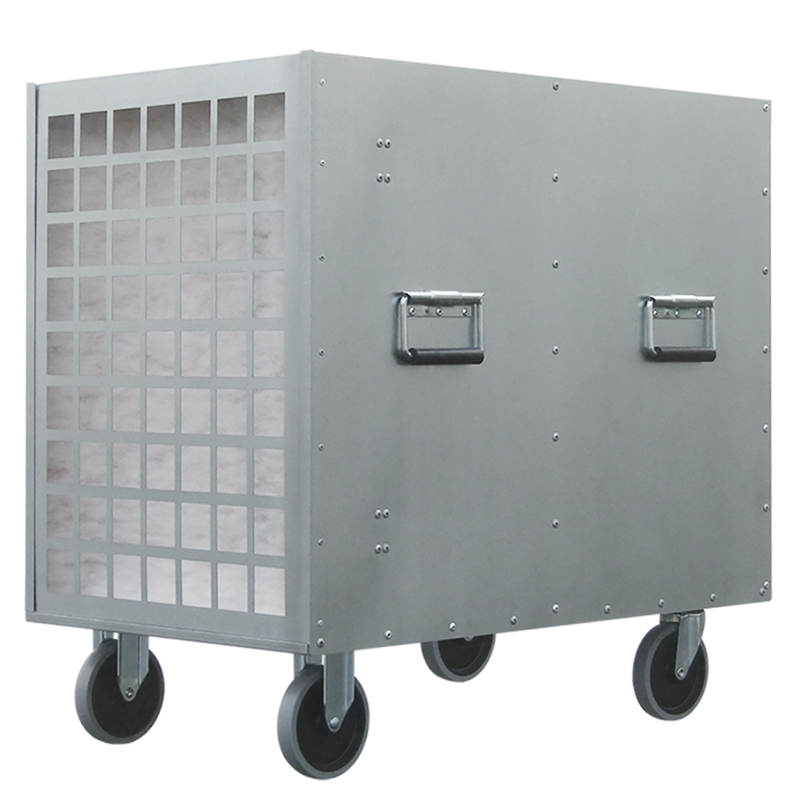 The 2000C has a durable, heavy duty galvanized steel housing designed and produced to last job after job. OmniAire products provide a cleaner and healthier environment in industrial facilities as well as abatement projects. For your safety, OA2000C comply with OSHA, UL and CSA/IEC electrical safety requirements.